NEPAL. Kathmandu. 2006. 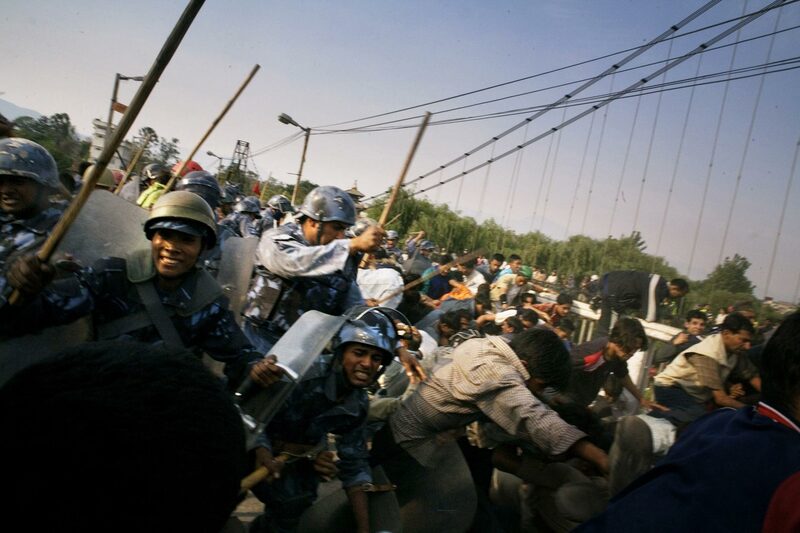 Police force troops attack demonstrators with wooden sticks on a bridge near central Kathmandu. The protesters had defied the ban on demonstrations inside the Kathmandu ring road, and were marching towards the city centre.